If you are new to the Lasallian world, and even perhaps to the educational world, the whole thing may seem a be a bit daunting. But don’t despair! That’s exactly how De La Salle and the first Brothers began. You’re in good company. Here are some things you can check out quickly to become a bit more familiar with it all. For further recommendations, look further down the page. Short videos about some of the Brothers and their lives. 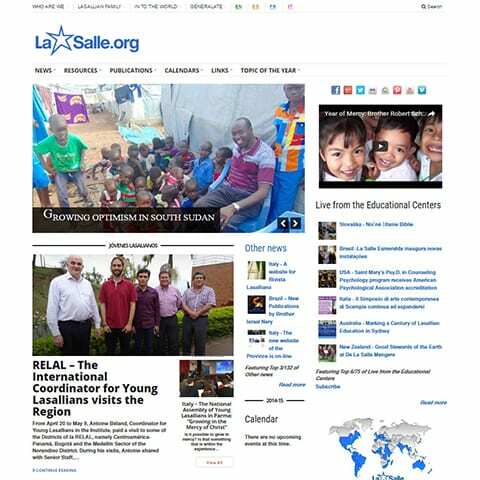 An overview of Lasallian education and part of the Lasallian world. 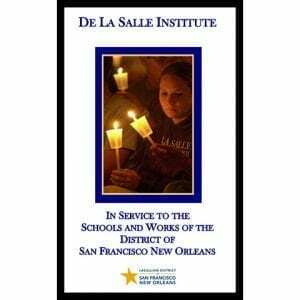 The Lasallian District of San Francisco New Orleans provides updated news and resource information. Explore the Regional website, which includes links to the other District websites and their programs and resources. The Institute website in ROME is multi-lingual and full of interesting links and info. Here is a fine way of combining an online pilgrimage with some reading materials. 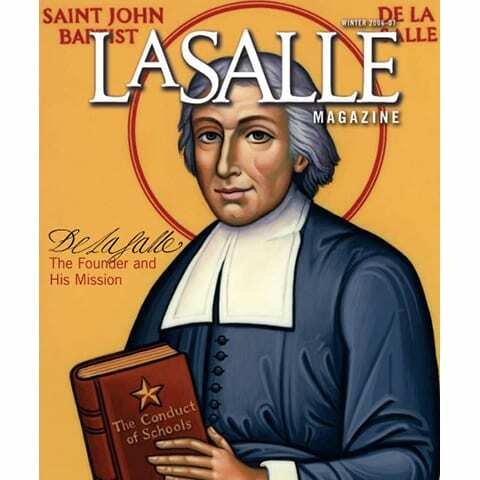 La Salle University in Philadelphia has an online magazine overview of De La Salle and Lasallian education. An introduction to St. John Baptist de La Salle , his spirituality, and characteristics of Lasallian education. 1. The “Inspiration” video will give you an overview of how one videographer, without past experience or agendas, came to understand what the Lasallian world was all about, simply by going around Lasallian sites, filming and asking questions. Also check out the “Reflections” video, where Br. Gerard Rummery talks simply and directly about St. John Baptist de La Salle and the Brothers, and why he has been so captivated by their experience over the years. 2. 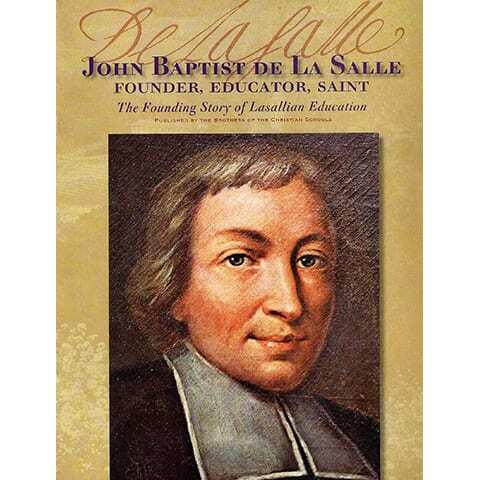 If you just want to have a written overview of basics, then start with the booklet “ John Baptist de La Salle: Founder, Educator, Saint.” You can also take a virtual tour of De La Salle's world and life on the DLSFootsteps website and/or read the Footsteps booklet that accompanied the DVD version of the website. 3. 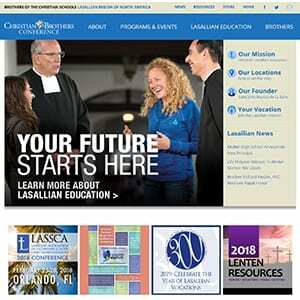 There are also resources about Prayer, the SFNO Website, or Regional Website, or International Website, and a Lasallian Glossary that is helpful in knowing the unique terms, acronyms, and names associated with the organization. If you want a really readable introduction to St. John Baptist de La Salle and the characteristic "Lasallian" aspects of education, then Touching the Hearts of Students is an accessible, enjoyable weekend read. Below is a slider with a dozen different resources that may feed your "newcomers" interest and provide just enough information to allow you walk the talk, as it were. A 14-minutes, engaging, contemporary overview of the life and influence of St. John Baptist de La Salle, visiting place in France and Rome. These brief 3-4 minute videos by Joseph Alexander-Short are wonderful, poignant, and inspiring insights into the lives of some of the Brothers of the San Francisco New Orleans District of the Brothers of the Christian Schools. They are part of an effort both to share the rich vocational heritage of the province and to make the vocation of the Brother more generally known and appreciated. Below are the updated set of individual videos. New videos will be posted on this page as they are released. 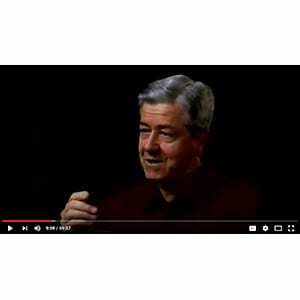 A short, compact, and rich video that reflects the breadth and depth of the Lasallian mission, both in the United States and around the world. 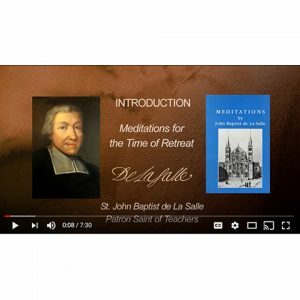 This is a short overview of the 16 meditations that De La Salle wrote for the Brothers during their annual retreat. 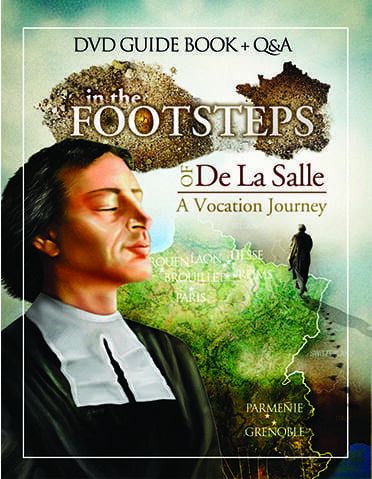 These meditations provide a concise synthesis of De La Salle’s spirituality – the priorities, themes, approaches, and perspectives that characterize the Lasallian educational context. They are meant to be read and considered in a retreat-like setting and are worth careful reading and ongoing reflection. Overview of the SFNO schools, personnel, demographics, religious backgrounds, etc. of the students and the administrative structure. This publication by the Lasallian Publications Committee of the Region of North America provides 52 stories from Lasallian school ministries, child and family youth service ministries, and retreat ministries. Each story focuses on how the “holy presence of God” has been experienced or seen through the eyes of personal witnesses. An introduction gives an overview of how the holy presence of God has permeated the spirituality of St. John Baptist de La Salle.